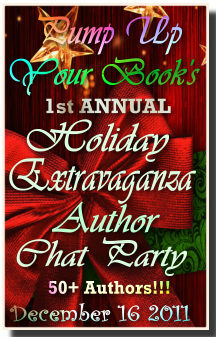 Free Kindle Giveaway at Zumaya Publications 5 year birthday chat party! Pump Up Your Book is proud to host the authors and publisher of Zumaya Publications at their 5 year birthday bash chat book giveaway! The party will be held on Tuesday, July 26, 2011 starting at 8 p.m. eastern, 7 p.m. central, 6 p.m. mountain and 5 p.m. pacific time) and ending at 11 p.m. (eastern time). Tell your book friends that not only will this give them an opportunity to chat with the authors and editor of Zumaya Publications, but they will be eligible to win lots of goodies including A FREE KINDLE E-READER! Click here for details!